I want to welcome you to College of the Redwoods (CR). CR is an exceptional learning environment in which students gain the knowledge and skills they need to be successful. We are committed to providing students an opportunity to achieve their educational goals by offering programs and services designed for students who plan to seek a transfer degree, train for immediate employment or transition to a new career. I believe that, as a learning community, we strive to deliver quality education while ensuring that our students remain our top priority. We offer an environment that allows students to feel challenged, supported and determined—an environment in which every student can thrive and succeed. As CR President, I appreciate this opportunity and am excited to work wonderful faculty, staff and students to make a positive change while continuing to make our college successful. I invite you to visit the Eureka campus or one of our district-wide educational centers or sites. 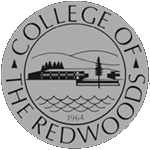 I am confident that when you visit, you will discover what makes College of the Redwoods a first-class comprehensive community college.